Students have the opportunity to try out for and participate on these competitive teams which travel to other Christian schools in the area for games. Team practices and games are held after school hours. 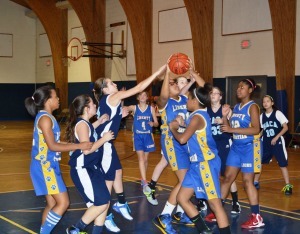 The basketball teams each play about 15 games during the season and compete in a tournament as well as in the annual LCS Alumni basketball game at the conclusion of the season. Cheerleaders cheer during both the boys and the girls basketball games. Coaches seek to give players practice as well as game experience to allow them to grow and develop their skills.